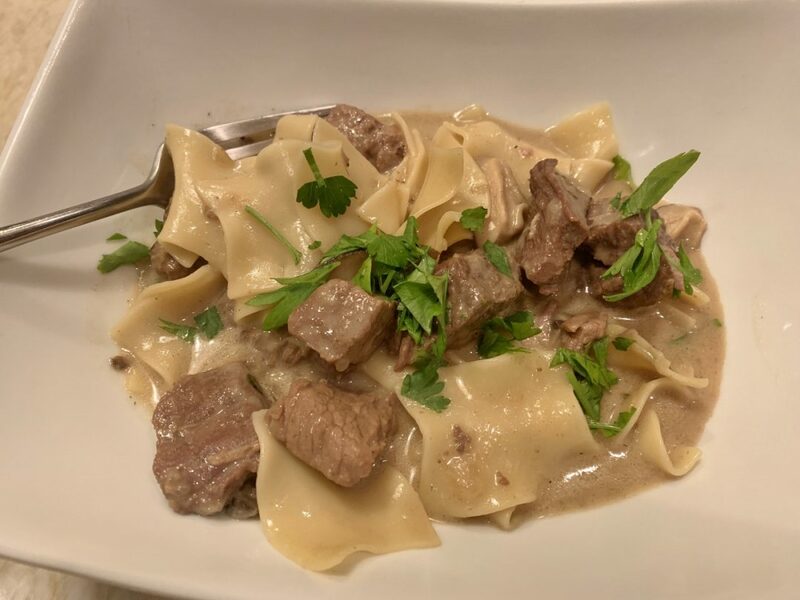 Instant Pot Beef Stroganoff - Recipe! - Live. Love. Laugh. Food. 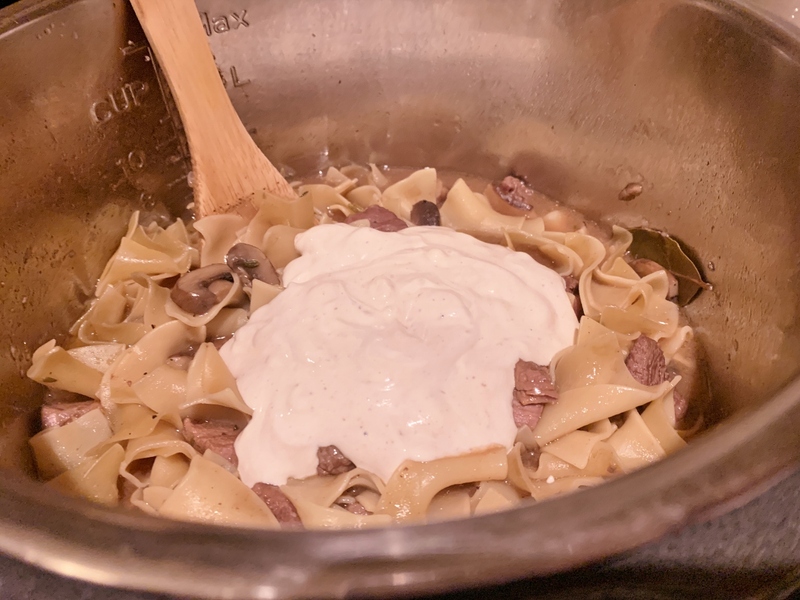 Beef Stroganoff is a rustic dish with Russian roots prepared with chunks of beef, mushrooms and herbs cooked in a broth with sour cream added at the end of cooking. 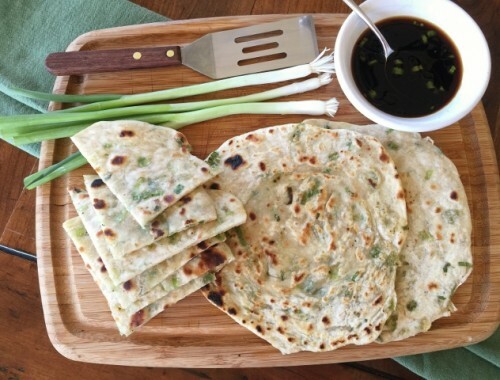 The sauce is modestly rich, but not heavy and it’s flavors are comforting like a stew and tremendously aromatic. 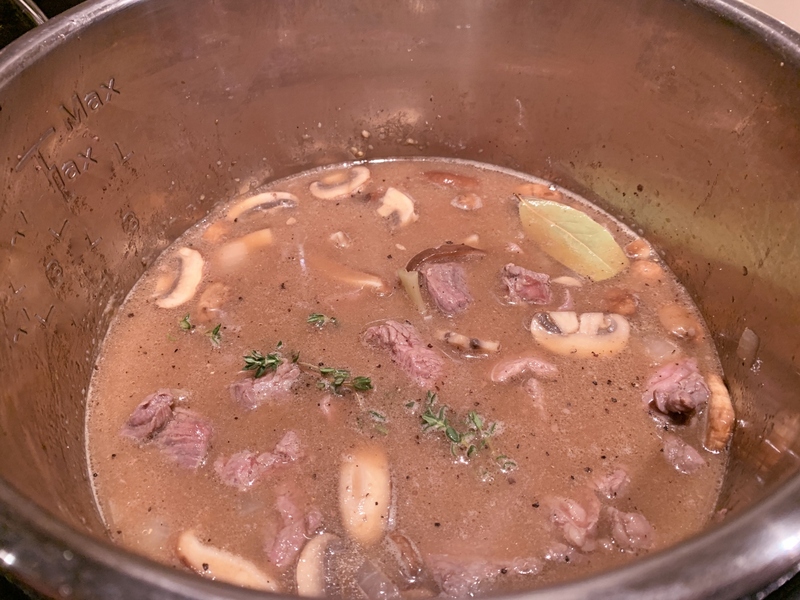 Most often, this meal is prepared on the stove top, but the Instant Pot is a great vessel to soften meat and mushrooms, while infusing herbs in a short amount of time. The texture becomes as tender as fillet mignon, but with a gentle chew and the brothy mushroom mix becomes the perfect place to cook noodles in the same space – truly a one pot wonder. Once cooking is complete, a big dollop of sour cream is stirred into the pot creating a creamy sensation that not only becomes a wonder in your mouth, but fills your tummy with wonderful warm. 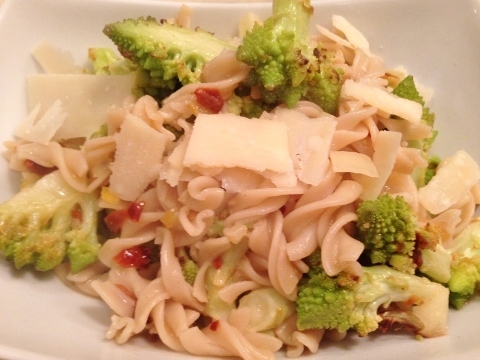 It’s a bowl of simplistic food that tastes like it took hours to make. 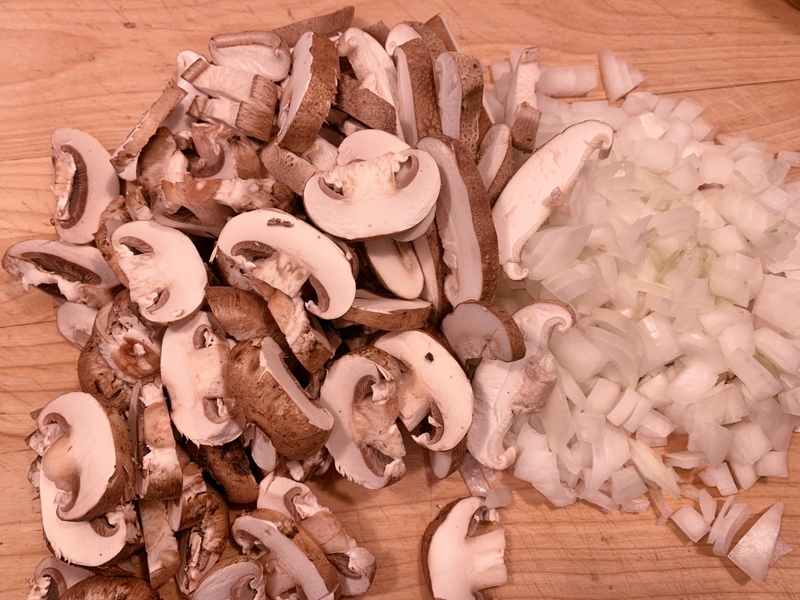 Dice onion and slice mushrooms, set aside. Add 2 tablespoon oil to Instant Pot and press Saute. 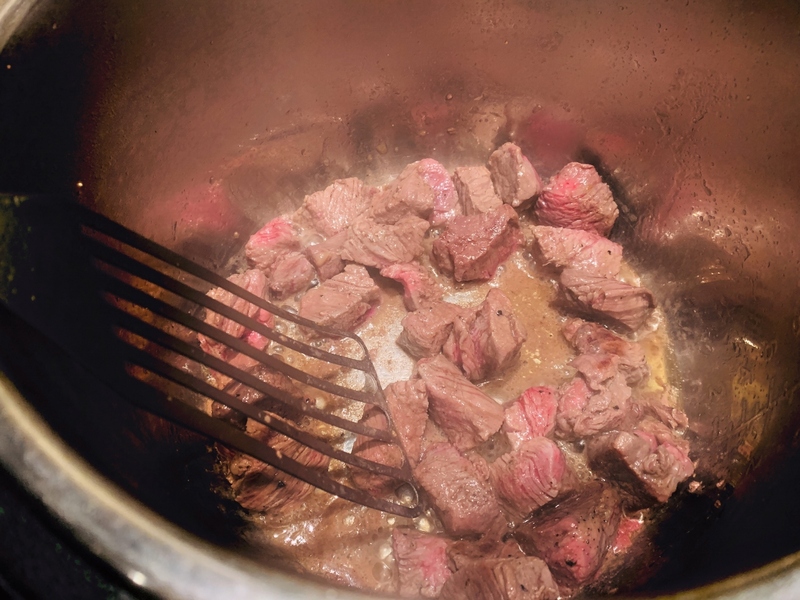 Salt and pepper beef and add it in batches to pot. Brown on all sides, place in bowl and set aside. 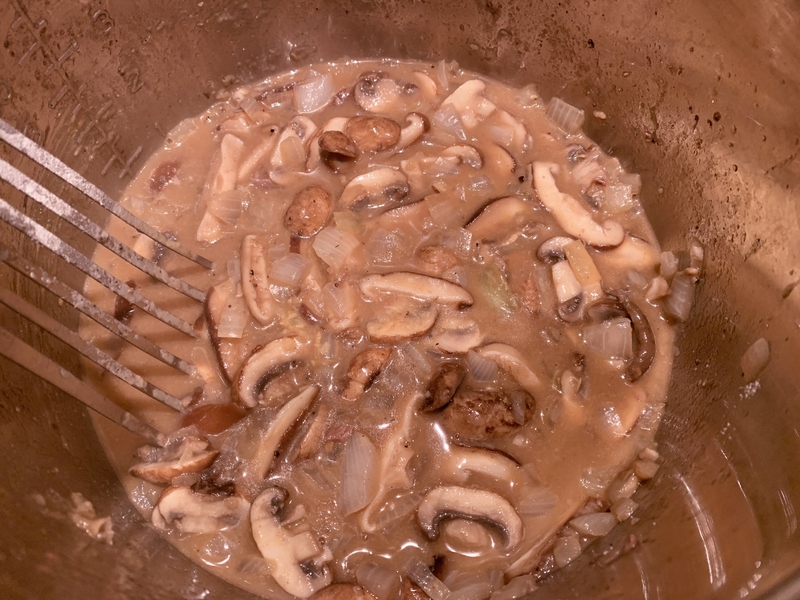 Add mushroom and onions and saute for 3 minutes. Add flour and stir to combine, cook for 1 minute. Add mustard and stir. Pour in broth and add bay leaf, thyme sprigs, 1 1/2 teaspoons salt, 1/2 teaspoon pepper and browned beef, stir. Place lid on top and Press Manual or Meat and cook for 30 minutes. Release press manually and remove lid. Add noodles and stir. Place lid back on and Press Manual or Meat and cook for 5 minutes. Let pressure release naturally for 2 minutes, then manually remove pressure and lid. Add sour cream to a bowl and add 1/4 cup beef broth from pot to bowl, whisk. Pour mixture into pot and stir into sauce. Ladle Stroganoff into bowls and top with fresh parsley. Enjoy! 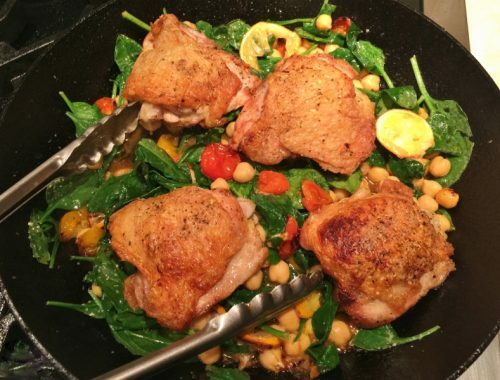 Skillet Chicken with Lemons, Spinach & Chickpeas – Recipe!